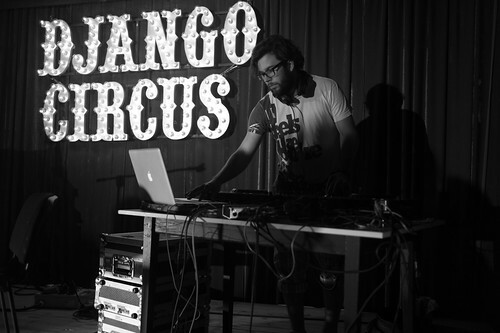 During Django Con, I was asked how to use Circus to run & monitor a Python web application. The documentation has no single page step-by-step tutorial yet, so here goes... this blog post will be integrated into the documentation for the next release. Circus is tested under Mac OS X and Linux, on the latest Python 2.6 and 2.7. To run a full Circus, you will also need libzmq, libevent & virtualenv. Once this is done, you'll find a plethora of commands in the local bin dir. You should be able to visit http://localhost:8080 and see hello world. This config file tells Circus to bind a socket on port 9999 and run 3 chaussettes workers against it. It also activates the Circus web dashboard and the statistics module. Now visit http://127.0.0.1:9999, you should see the hello world app. You can also visit http://localhost:8080/ and enjoy the Circus web dashboard. This is a top-like command to watch all your processes' memory and CPU usage in real time. You can plug your own WSGI application instead of Chaussette's hello world simply by pointing the application callable. Chaussette also comes with many backends like Gevent or Meinheld. Read https://chaussette.readthedocs.org/ for all options.